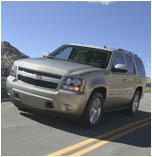 Every year since 2001, the Tahoe has been the best-selling full-size SUV. 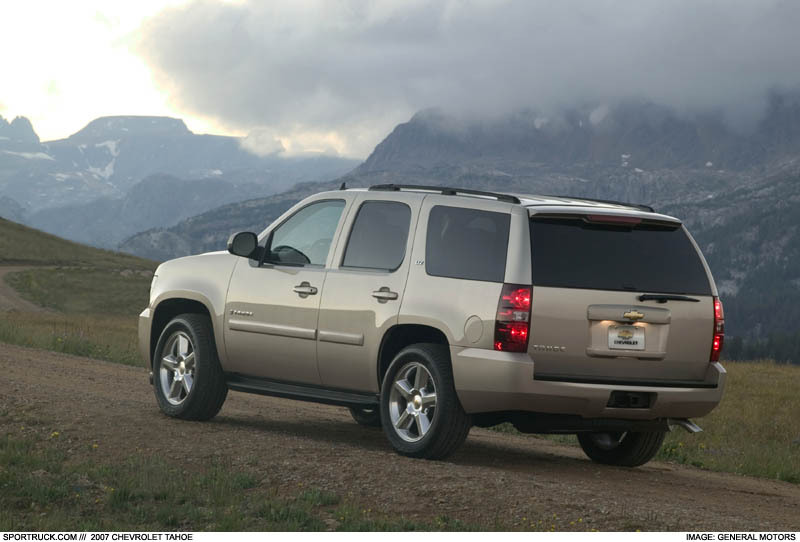 While most people probably are not aware of this fact, GM is very proud of its record, and has gone to great lengths to try to keep it that way. 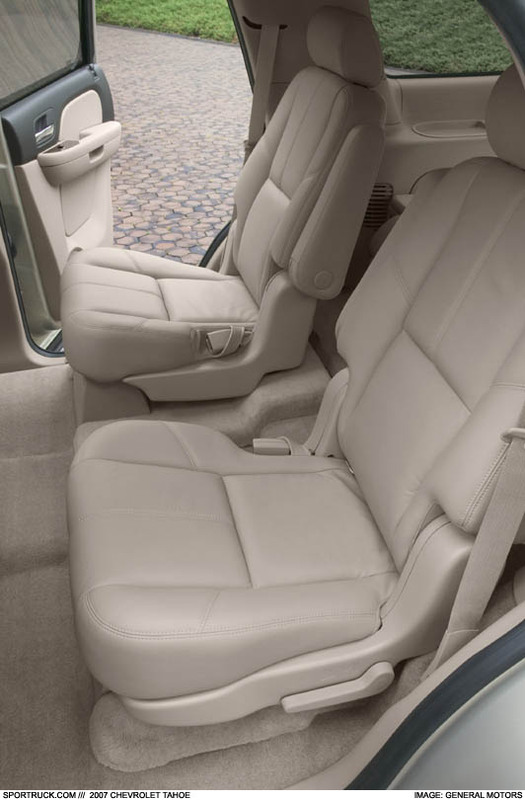 Perhaps its best-selling SUV has been overlooked because the last major overhaul dates back to 2000, along with the entire full-size SUV line from GM. 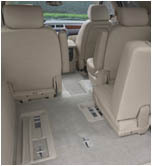 The current Tahoe stacks up short to the fresh Ford Expedition and recent Nissan Armada. Combine this with GM's recent financial trouble and questions about the future of its vehicle brands and you begin to wonder what has been going on over at GM. 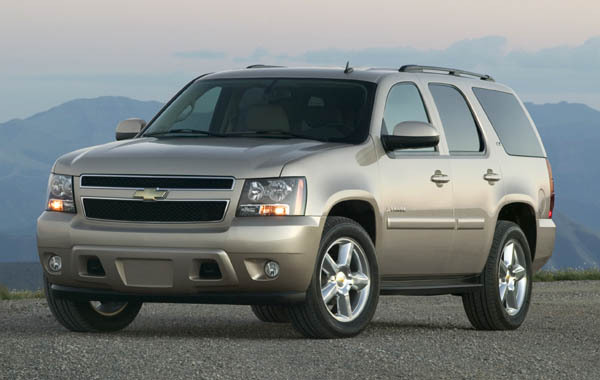 All that may change since GM has just revealed the future of its full-size SUV line. 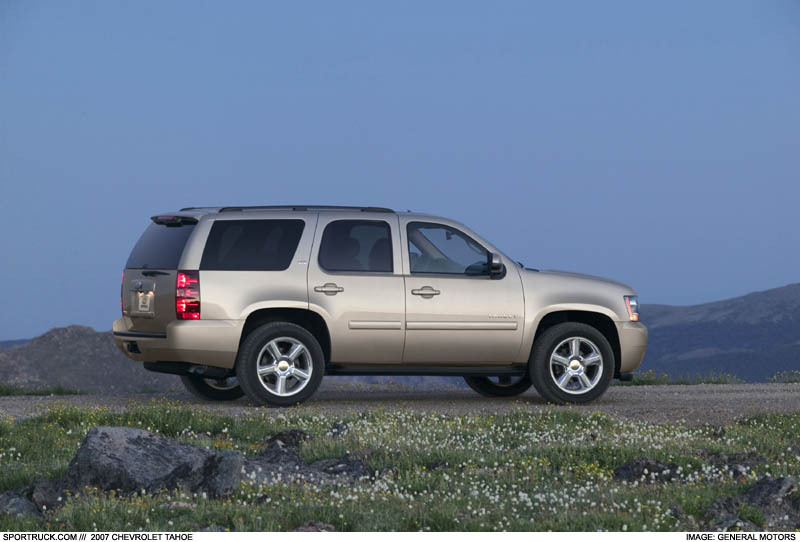 September 20, 2005, marks GM's unveiling of its latest effort, the 2007 Chevrolet Tahoe. 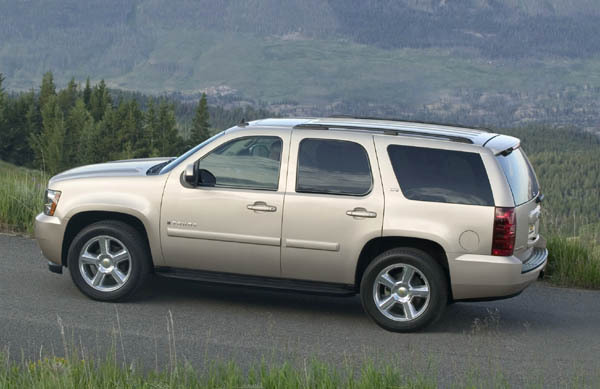 In a world where people are buying more small and mid-sized SUV, GM has actually increased the size and weight of its full-size flagship. But don't jump to any conclusions just yet. 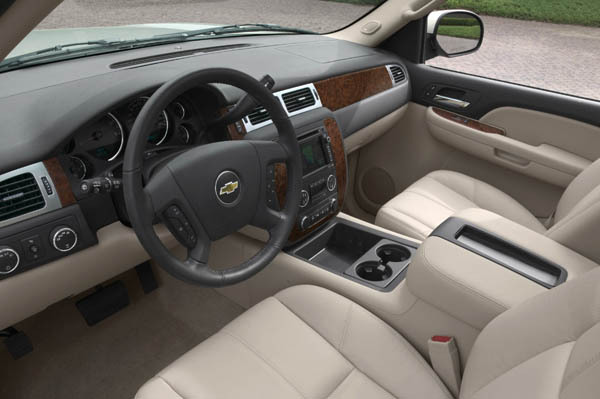 GM claims this new Tahoe offers a better ride, handling and quietness, as well as improved efficiency -- upwards of 20 miles per gallon in combined fuel economy. The Tahoe will be built on GM's new full-size SUV platform, a design that will be shared with the Suburban as well as the GMC Yukon and Yukon XL and Cadillac Escalade. Some of the features of this new platform include a track width that is nearly three inches wider in front and one inch in the rear. A new coil-over-shock front suspension is designed to improve ride and handling, as is the updated five-link rear suspension with variable-rate springs. 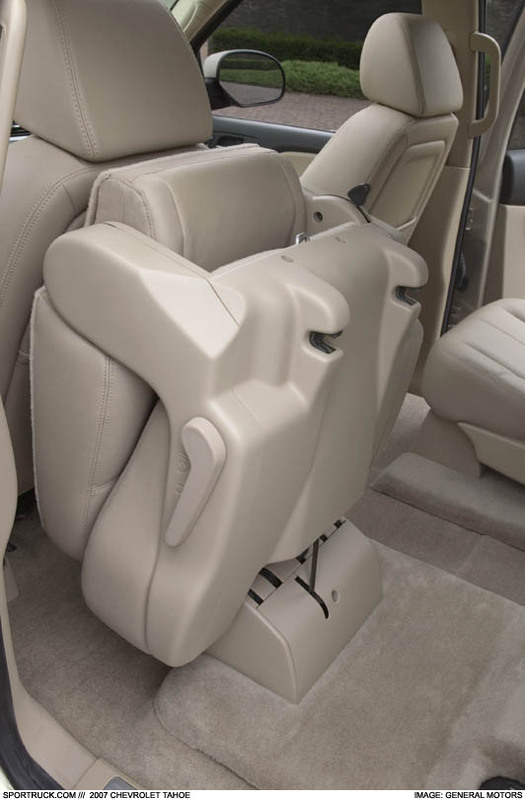 The rack-and-pinion steering system and four-wheel disc brakes have also been redesigned for better response and improved safety. 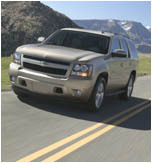 The styling of the Tahoe represents a new look that the entire SUV line will share. 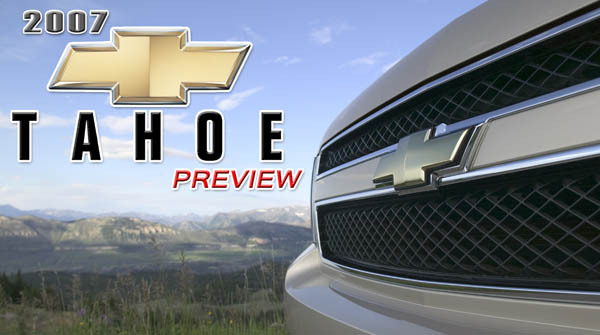 The hood and grill resemble a progression of the current styling of the Silverado, however the integrated headlamp and turn signal unit is a complete departure from the usual Chevrolet. 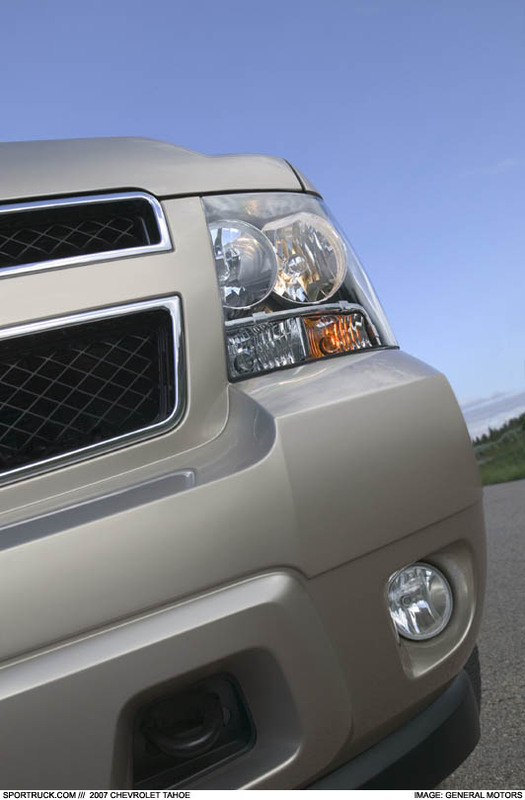 Since the late 1980's, all Chevrolet trucks and SUV have used individual headlamp and turn signal lamps units separated by a prominent bar at the center the grill. 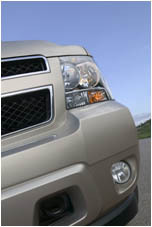 The new headlamps on the Tahoe are an all-in-one unit. 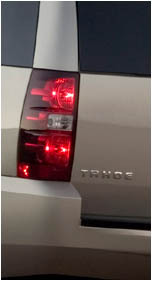 While their angular lines help accentuate front, the lamps are all too similar to run-of-the mill styling -- think Jeep Grand Cherokee or Toyota Highlander. The exterior design looks leaner. By knocking off the sharp corners, the drag coefficient has been significantly decreased, but the overall styling appeal has also suffered. 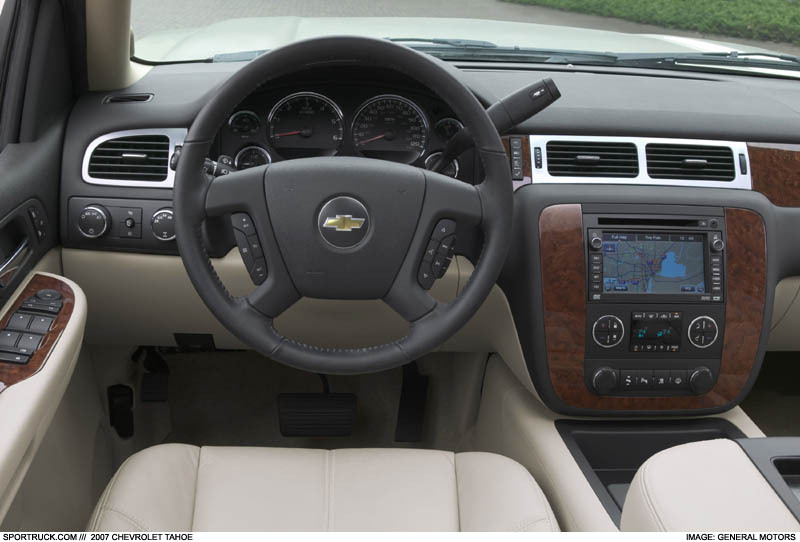 The flat sides and smoothed-out lines have turned the once sharp-edged style that defined a Chevy into something all too bland and uninspired. Were it not for the distinctive snout, one might mistake this for a Japanese import. 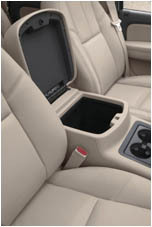 Inside, the new Tahoe provides everything you would expect from a flagship SUV, including power-release tumble-and-fold second row seats, first and second row heated seats, rearview camera system, rear parking assist, touch-screen navigation, power-articulating running boards, and DVD rear-seat entertainment system. 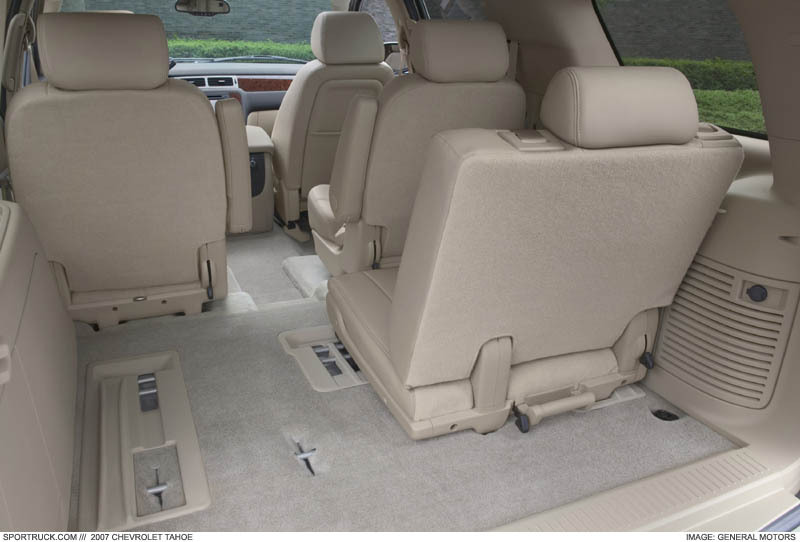 Perhaps the most impressive feature of this large SUV is its greatly improved fuel economy. 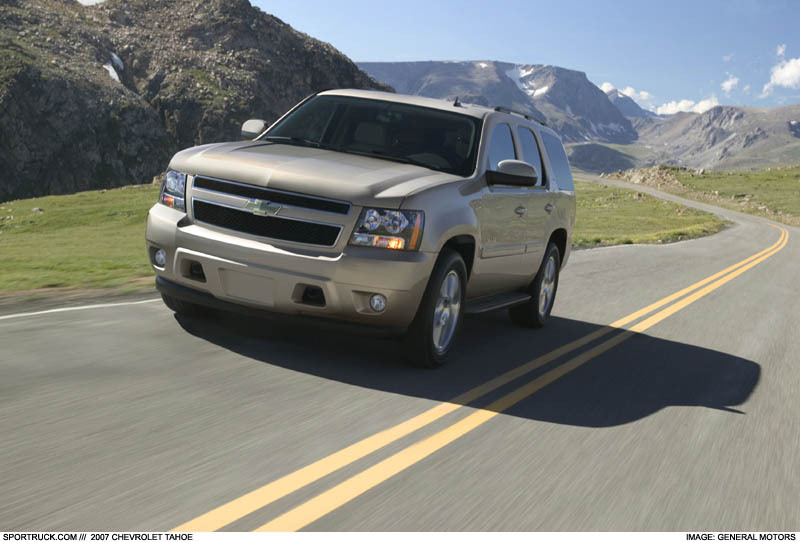 Fuel-saving On Demand technology has boosted 5.3L V8-equipped Tahoe to 20.5 mpg combined fuel economy. The engine boasts 320 horsepower and 335 lb-ft. of torque. 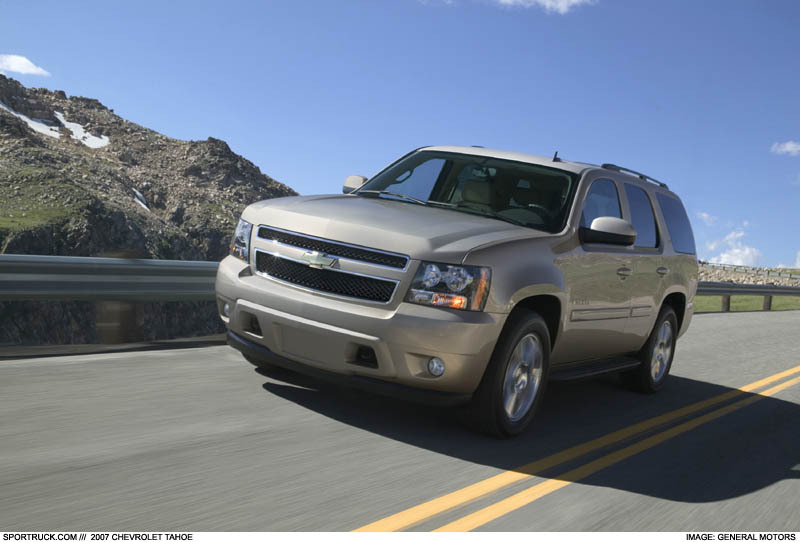 Overall, one must applaud GM for improving many aspects of its flagship SUV. 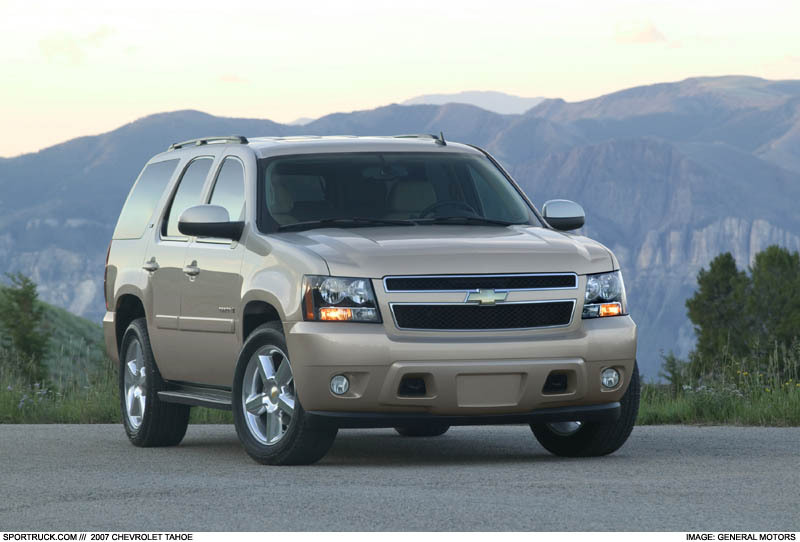 However one is left to wonder if the new Tahoe will remain an industry leader, or if GM's full-size SUV sales might continue their smooth descent. 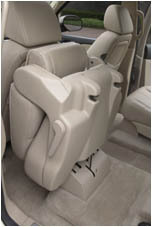 The 2007 Tahoe will be built in Arlington, TX and will be available in the first quarter of 2006.